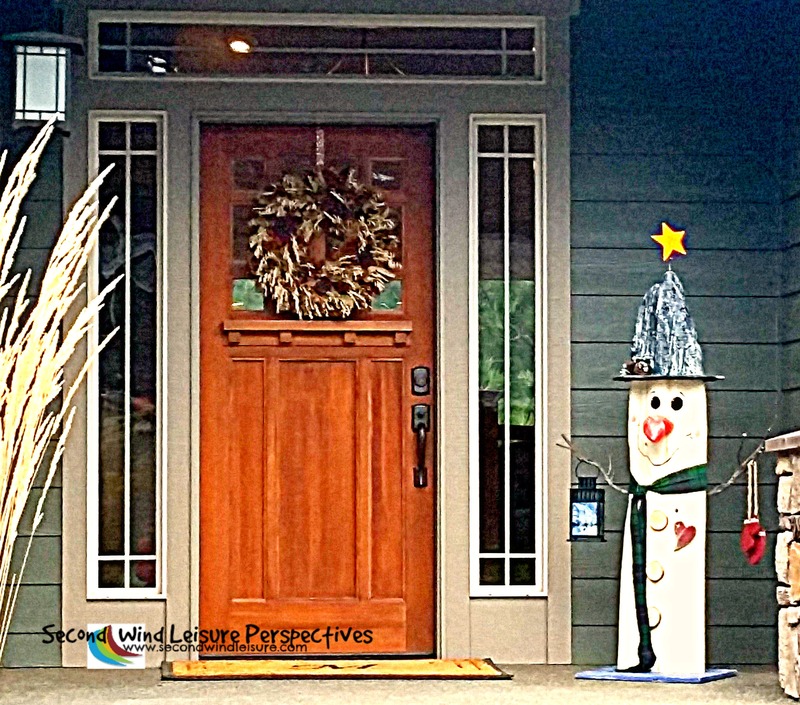 …holiday decorations on porches and doors! We spent the Thanksgiving holidays in Spokane, Washington. After eating wa-a-ay too much dessert (yes, all week long), I took one of many walks. Our family lives in the beautiful Dishman Hills area and walking up and down those hills is great exercise. This photo screams Merry Hallowgiving! Or Happy Thanks O’ween? These photos demonstrate their creativity as well as their penchant for combining more than one holiday theme. I think they made it work. Great to see you here. 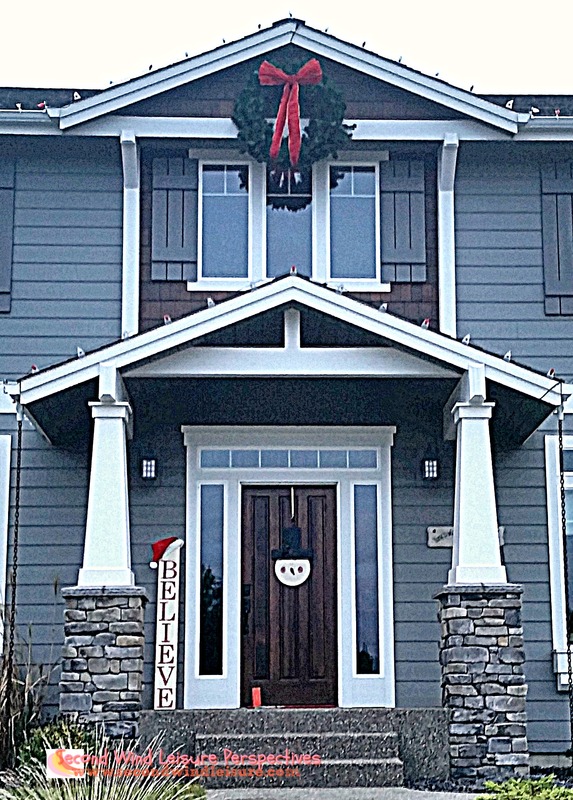 I like pretty doors too, but they are definitely more decorative this time of year. Love that top door especially, and hope you had a Happy Birthday, Terri. I love how each of the holidays overlaps in these photos. Be still my heart! When I finish (it’s only 10:00am here) it will be a screwdriver because I have a head cold, plus my birthday tomorrow, LOL! Thanks, Hugh! I think hubby is cooking me lamb or salmon for my birthday. Maybe another screwdriver for Sunday would be apropos! 😉 Enjoy your evening! Sounds wonderful, Terri. Happy Birthday to you. Have a brilliant day. What great doors! 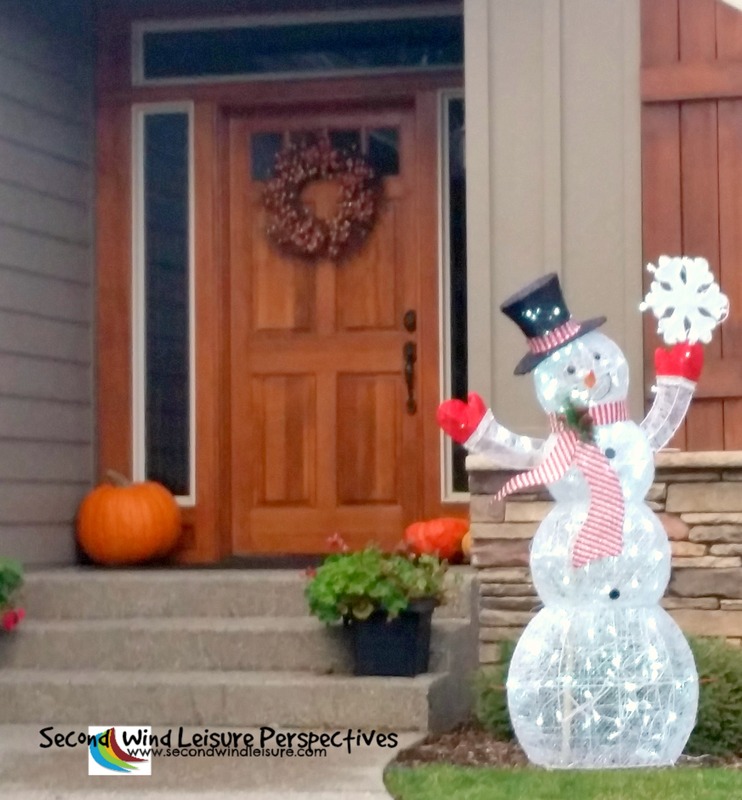 You’ve inspired me to check out the holiday doors on my neighborhood walk! You probably have some good ones in your neighborhood! Nice combination of two challenges, Terri. I do love Christmas! A good walk after supper has a double payoff: exercise to burn off those calories AND some lovely doors! Happy Thanks O Ween- bwahaha! Hahahahaha! Glad you liked that! Very beautiful images! Thanks for sharing! Lovely photos! It’s Christmas time! Yay!!! It’s official now that it’s December!! Yes it is and I love this time of year. Hey Terri! I enjoyed your post as much as I enjoy a good hot coco with marshmellows! Great minds think alike, Terri! I have it on my list to take a long walk today in search of some wonderfully decorated doors that I can photograph for ‘Thursday Doors’. Thanks for the added inspiration.